Tribulation Crypt has long been the preferred cemetery of the Rivenspire nobility. Or it was, until the dead began rising from their graves. 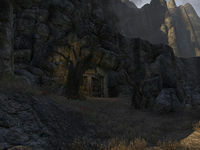 Tribulation Crypt is a tomb in southeastern Rivenspire, east of Hoarfrost Downs containing undead. It is the preferred cemetery of the Rivenspire nobility. The Legend of Dame Marcelle can be found in the last room of the crypt. 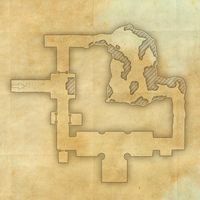 Explore and clear Tribulation Crypt. This page was last modified on 13 February 2019, at 18:32.